Fox Business is calling out rival CNBC's debate shortcomings while promoting its own chance to question the Republican field of candidates. "CNBC never asked the real questions, never covered the real issues," a Fox narrator says in a commercial. "That's why on November 10 the real debate about our economy and our future is only on Fox Business Network." 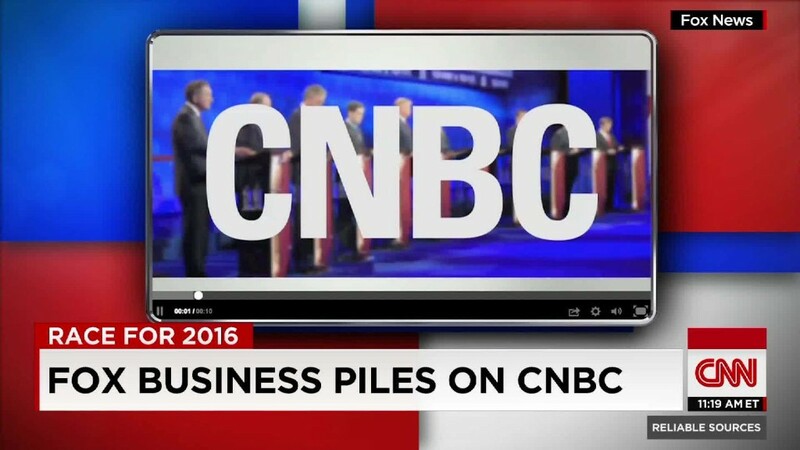 The commercial started running on Thursday night, one day after CNBC's debate. It's a shot at Fox Business' rival with Fox taking advantage of the widespread criticism of its competitor's performance. Fox's jabs at CNBC started in the opening minutes of Wednesday's debate, and afterward one of the Fox moderators, Neil Cavuto, asked fans on Twitter to retweet him if they thought Fox would have a stronger debate. The implicit message was "we'll do it better," and now that has become explicit. Some of the anchors on Fox News and Fox Business have adopted a similar message in their verbal reminders about November 10: Fox, they say, will provide a "real debate" about economic matters. Fox has already indicated that its debate would be different, giving the candidates more time to explain themselves and reply to criticism from other candidates. During the CNBC debate, frustrated candidates and moderators were sometimes talking over each other as candidates tried to speak and the moderators tried to move on to the next question. Fox obviously has a lot riding on the debate. Fox Business launched in 2007 and has struggled to build up a big audience. It has made some progress creeping up on CNBC, according to Nielsen ratings, but is still firmly in second place. The ratings for the three GOP debates of the season suggest that at least 10 million viewers will tune in for Fox Business's turn. The network will surely get a promotional boost from its much bigger brother Fox News. A significant hurdle might be that viewers who have never seen Fox Business will have to find it on their cable lineups. The idea is that viewers who find it and like it might come back and watch regular programming. Positive reviews of the debate -- especially in contrast to the negative reviews given to CNBC -- could help firm up Fox Business' status as an insurgent business news source. The pressure is on to deliver the "real debate" it is promising without attracting ire from the candidates.